If you're looking for a cuddle buddy, look no further than this body pillow by Beautyrest. 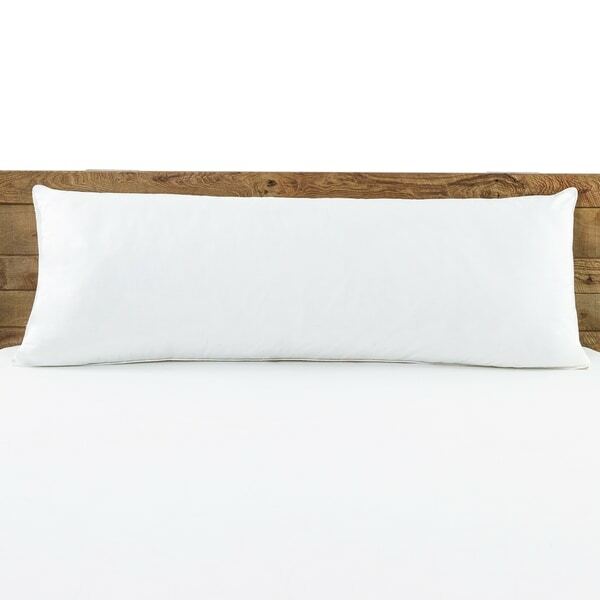 This pillow is the perfect size to snuggle up with for your most comfortable night's sleep. The 200-thread count, 100% polyester cover provides a smooth and soft surface, while the generous fill Durafil polyester fiber offers a resilient and durable finished product. To clean this pillow, please spot clean only. Dimensions 48.0 In. X 20.0 In. X 7.0 In. It was recommended to me by My doctor . I have a hip replacement and I am a MG patience. In order for me to sleep comfortable on my side I needed a body pillow.